Tara McGovern-Ortiz is a Registered Psychotherapist and Clinical Counseling Masters Degree candidate at Naropa University. 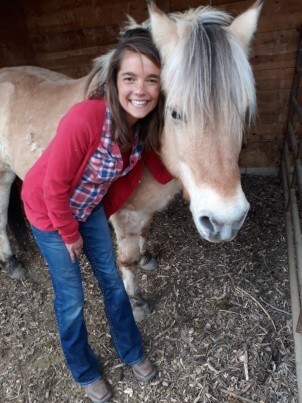 Her background, education and training have been in Transpersonal Wilderness Therapy, and she is now bridging her passion for horses and nature as an equine-facilitated therapist at Twin Oaks Farm. In the past, Tara worked as a guide and mentor bringing humans and animals together in wildness areas, as well as caring for at-risk youth in a therapeutic home-setting. Currently, she works with individuals, couples, families and groups of all ages and backgrounds, who are navigating a wide range of issues including anxiety, depression, grief, PTSD, and acculturation stress. With a background in culturally sensitive therapy and equine care, Tara’s growth-oriented outlook promotes empowerment and resilience. Bridging the past, present and future in intuitive and creative ways, she uses intention and humor to help identify both internal and external resources for navigating life’s challenges. Tara offers free consultation and a sliding scale. I am a mindfulness-based psychotherapist trained in Dialectical Behavioral Therapy. I have worked with people of all ages and diagnoses in psychiatric inpatient settings and have completed the Crisis Prevention Intervention Instructor training. I have a BS in Cognitive, Linguistic, and Psychological Sciences from Brown University and a MA in Mindfulness-Based Transpersonal Counseling Psychology from Naropa University. 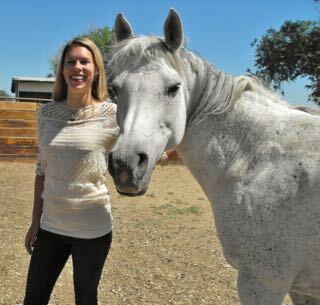 I offer equine-facilitated learning for kids, adolescents, adults, couples, families, and groups. I believe that interactions with horses, llamas, and goats offer a unique opportunity to explore patterns, relationships, perceptions, and emotions in a fun yet powerful way. I aim to help clients identify their inner strengths and resources and feel a deeper sense of connection and integration. I incorporate mindfulness practice, dream work, creative expression, clinical hypnosis, family systems and psychodrama in my sessions. I believe in the basic goodness of every person and that a nonjudgmental approach and a touch of humor are absolutely essential for the therapeutic process. I offer a sliding-scale fee. Since its establishment in 2009, Twin Oaks has hosted over a hundred workshops for groups of teachers, students, hospital teams, scientists and academics, corporate leaders, church and meditation groups, children, etc. We create tailor-made equine-facilitated events meeting the specific aspirations and needs of your organization, offering coaching, mindfulness-based learning, leadership trainings, group therapy, family counseling, and growth experiential with horses. We welcome groups from six to 24 participants, for a minimum of two hours to a full-day experiential. Just indicate what themes you wish to explore and we design a truly transformative experience for your group. Contact us to enquire about our highly competitive fees and availability. Treat yourself to a unique experience in the beautiful settings and the comfortable facilities of a historical farm, we very much look forward to welcoming you!